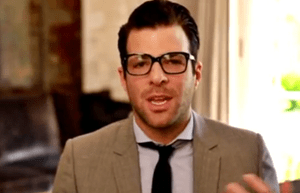 Jane Lynch, Jesse Tyler Ferguson, Billie Jean King, George Takei, Wanda Sykes, the smoking hot Zachary Quinto, and Chaz Bono speak out for President Obama in this new Obama For America Get Out the Vote video. FACT CHECK: Jane Lynch does make one mistake when she states that Federal workers no receive the same benefits as their heterosexual counterparts. This is not true. Gay Federal workers received limited benefits, and not the important ones like spousal health insurance, retirement plan inclusion etc. But they do receive inclusion in 3 minor Federal benefits. Survivor’s Favorite Contestant and Indiana Governor Hopeful Rupert Boneham Speaks Out For Gay Marriage But…. Mike Huckabee Says The “Common Sense” Way To Treat American Citizens Is Like Dogs.